The verdict is overwhelming – the public does not like City Rd and thinks it needs a lot of work. The City of Melbourne’s (CoM) consultation process that took place in February and March as part of Participate Melbourne and showed 90 per cent of respondents had had a negative experience on the road. Given its prominence through Southbank, it’s little wonder that 120 of the 182 experiences shared came from local residents, while 21 came from people who work in Southbank. Participants were asked to select the emotion they felt when using the road. The most popular were unsafe (68 people), frustrated (41) and angry (21). Just eight people said they were happy when using the thoroughfare at present. The consultation process included an interactive map, which was online for a month, where users of City Rd could pin their comments to any section of the road and a drop-in consultation at Boyd Community Hub where users could talk to CoM staff. Some of the negative comments included: “This is not some country or suburban highway – left turn slip lanes have no place in a high-density, high pedestrian volume urban area – totally wasted public realm of the first order;” “City Road is not a nice road to walk down. The proposed development will encompass both 49-61 Coventry St and 26-66 Dorcas St and includes two towers, 76.9 metres and 76.3 metres high respectively. 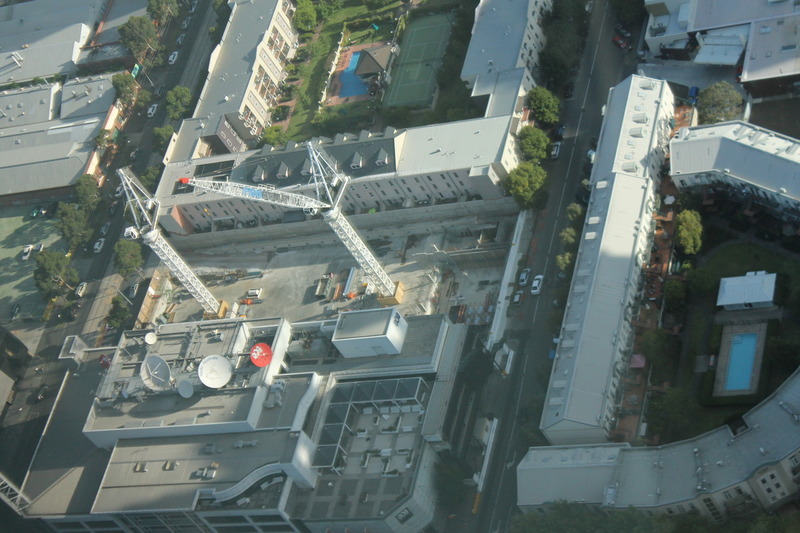 The development is more than 25,000 sqm, so the Planning Minister, Matthew Guy, is the sole authority on its approval. In its submission to the Minister, the council said it objected to both the height and setbacks within the application. “The height of the towers exceeds the maximum building height under the Design and Development Overlay and the height is inappropriate in the context of existing surrounding buildings in both the City of Melbourne and the City of Port Phillip,” the council report stated. “The setback from the eastern boundary is insufficient having regard to the development potential of adjoining sites and the requirements of the Design and Development Overlay.” The report did point out that if these two issues were addressed, the council would have no issue with the development. Talk about desperately trying to keep your views...Some people have too much free time. I wouldn't want the shrine or forecourt to be overshadowed in the middle of the day in summer, but at 5pm in winter a shadow is fine. Yeah exactly. A report on the website shows that the shadows are only really an issue around 4/5pm (depending on which tower) for about 10-15mins..
- before 3PM on any day of the year. - for longer than 17 minutes on any day of the year. Looks like the planning minister can breathe a sigh of relief and the opposition doesn't have to make any stupid election eve promises about not overshadowing the Shrine. 21 extra levels will easily put it over 200m. On the Market Crone Partners have designed a 280m residential tower on a 1161m2 site in Southbank, Melbourne. The project has been rigorously designed in accordance with preliminary advice from the Planning Ministers department and is soon to be lodged for approval with the DPTLI. The development is targeting 600 apartments / 174 car spaces and seeks to maximise amenity for the residents, neighbours and the broader Southbank community. Crone Partners has worked closely with a team of top tier consultants to ensure the design is robust and functional. The design skilfully works within the irregular site to optimise the yield, while ensuring the apartments are carefully planned to avoid overlooking whist maximising the spectacular views. Externally, a delicate seraphic frit is applied to a high performance curtain wall to create a diaphanous skin, which cloaks the apartments to offer protection, shade and glare control. Wow, I hope they lodge it soon. Amazing design, I found this render a while ago. I was wondering whether it would ever crop up. wow this is exciting design ... really wish that it would go head. Is it already approved? but given the density around that end of city road but too optimistic about that. given the recent revision of 344 city... doesnt look too promising. Lets hope for the best though! Already factoring in the high likelihood this won't be approved. While personally I don't really care about this as an issue. you'd have to say that given literally 50m away on the other side of the freeway the standard development height is something like 8 stories it is a bit odd to jump up to 250m here. wouldn't it make sense that the south side of City Road there was say up to 150m (as 109 Clarendon, Platinum, Grand are) and then the north side of City Road through to the city might be where the 200m+ towers are so you get a more gradual increase in height. Looks great and I like the sudden variation in height as it tends to give it some form of impact. so do u like 432 park avenue? Indeed I do. It breaks the mold and it's iconic while making a statement at the same time. Just a personal preference like everyone on this forum.